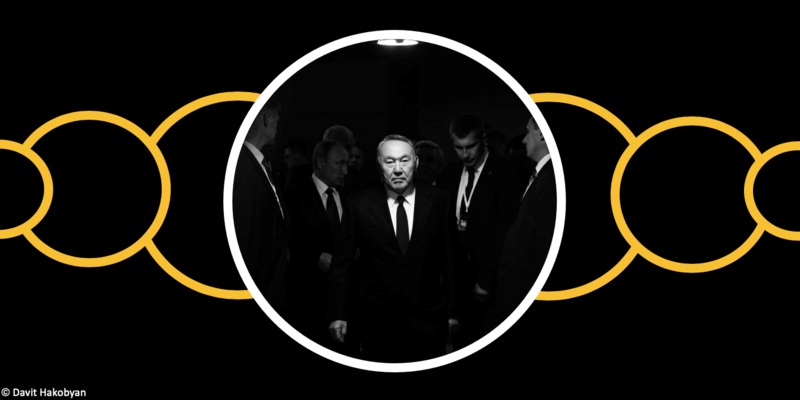 The first President of independent Kazakhstan, Nursultan Nazarbayev, symbolically resigned on March 19th, 2019, at 19:00 Astana time. His resignation was sudden and shocking, and we worried about what would happen next. On March 20th, the new Acting President, Kasym-Zhomart Tokayev, reassured his nation that nothing had changed. However, his rule started out with renaming the capital, Astana, to Nur-Sultan, after Nazarbayev, causing public outcry. The eldest daughter of the first president, Dariga Nazarbayeva, as expected, became the Chairwoman of the Senate and is now favoured to win the next presidential elections in 2020. In fact, Nursultan Nazarbayev, “by virtue of his historical mission”, still holds the main levers of decision-making in Kazakhstan. With the official status of ‘Leader of the Nation’ (Kaz. : Elbasy), he remains the Head of the Security Council, a constitutional body that coordinates law enforcement agencies, central and local executive bodies, and domestic and foreign policy. Nazarbayev also remains the Chairman of the ruling Nur Otan party and is a member of the Constitutional Council. These political structures ensure Nazarbayev’s lifelong influence over the decision-making of the acting president. The President was able to resign without losing influence by choosing his successors from his family and entourage. In February 2019 Nazarbayev appealed to the Constitutional Council for a clarification of the terms allowing for a president’s resignation, explaining that it was “an absolutely routine issue of the state”. His resignation came a month after the Council adopted a normative resolution allowing the president to terminate his powers in accordance with his own will. In this case, the powers will be passed to the Chairman of the Senate, Kasym-Zhomart Tokayev. 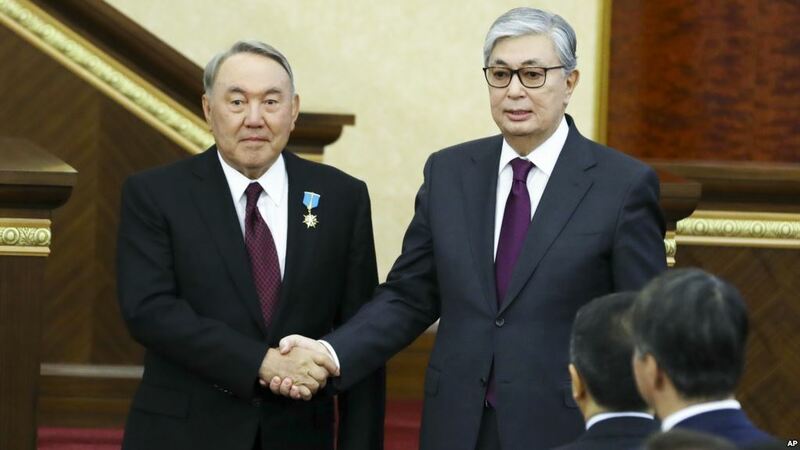 Suddenly, Kasym-Zhomart Tokayev’s interview with the BBC back in June 2018 resurfaced: “Frankly, I do not believe that President Nazarbayev will participate in the presidential elections in 2020. Because he is a very wise and rational person. I think that in 2020 we will have presidential elections with other candidates, except President Nazarbayev,” said then-Chairman of the Senate and now Acting President Tokayev. In his resignation statement, Nazarbayev referred to Tokayev as someone he had been working with since the first days of Kazakhstan’s independence, and called him an honest man. 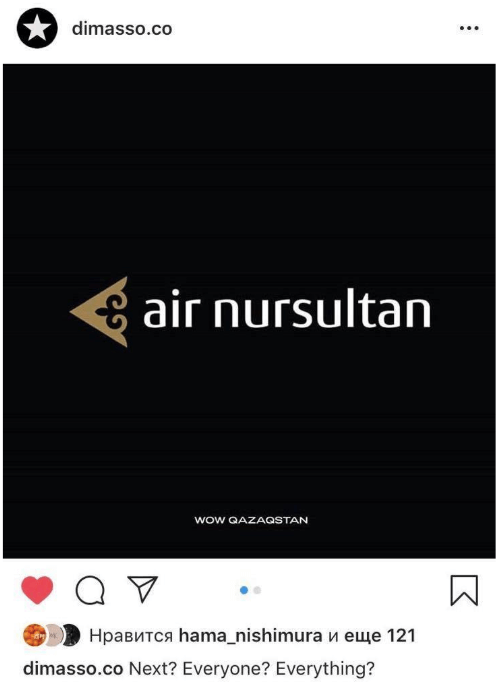 Tokayev’s CV is indeed promising: a successful career diplomat, he knows the decision-making system of Kazakhstan well and has been called one of “the most well-known and reputable Kazakhstan brands abroad, after Nursultan Nazarbayev”. He has connections to Moscow, the USA and China, and he once worked with Ban Ki-moon as UN Deputy Secretary General from 2011 till 2013. He also helped formulate Kazakhstan’s multi-vector foreign policy. With such a biography, and having never been implicated in any substantial political or corruption scandals, Tokayev could receive the support needed to win the next presidential elections, despite a lack of party politics experience. It is worth noting, however, that the Constitution requires that a candidate has lived in the country continuously for the past 15 years, and Tokayev’s foreign service might make him ineligible. The next in line is Nursultan Nazarbayev’s eldest daughter, Dariga Nazarbayeva, who has taken over as Chairman of the Senate, in addition to her leadership role in the Committee on Foreign Relations, Defense, and Security. In her new role, Nazarbayeva will automatically become acting president if until the next spring there are any changes with Tokayev’s presidency. Her eldest son, Nurali Aliyev, is also married to the daughter of the Head of the Central Electoral Committee. In a speech on March 20th, Dariga Nazarbayeva promised to follow the first president’s legacy on improving social support for vulnerable groups. Immediately after, people recalled her scandalous statement during the social policy committee in 2013 that “for rational sexual education” teenagers should be taken on tours to child care centers and boarding schools for disabled children “so that they could see the result of premature sexual life”. In her opinion, it works better than long conversations and lectures. None of the people I talked to after the President’s resignation expressed any surprise in the way the transition of power was being carried out in Kazakhstan. People say that “nothing would change” and we should keep peacefully living our lives. Nursultan Nazarbayev has indeed managed to maintain peace in a multi-ethnic state throughout his rule, and people value this. While the ascension of Tokayev as acting president was more or less expected, renaming the capital after Nursultan Nazarbayev smacked the feelings of some citizens with its absurdity. Yerzhan Rashev, a writer and blogger who is often thought of as an opinion leader in Kazakhstan, wrote on his Telegram feed: “The most offensive, of course, is that the city of Astana is already a brand of something new, innovative, progressive, modern and technological that has already taken place in the international arena. And the city of Nur-Sultan is about archaism, feudal middle ages, Byzantium, khanate and personality cult”. “The events of recent days are not the worst, because we all were somehow prepared. The worst is the afflicted hurry with which everything has been done […] The new President of Kazakhstan has entered history as someone whose first decision was to rename every corner in the country after the first President”, wrote Yerzhan Yessimkhanov, a well-known local lawyer and blogger. After the initiative was announced, news broadcasts reported arrests of people who presumably opposed renaming of the capital. However, officials denied this information. Meanwhile, during celebrations in Almaty, we witnessed a performance organized by the city council: students in national costumes rallied to shout “the youth of Almaty is with Elbasy”. It was rehearsed several times and filmed for TV broadcast. On March 25th, students gathered again to shout “My homeland is Kazakhstan, my capital is Nur-Sultan”. It is sad, funny, and then sad again. Officials have reassured the people that documents addressed “Astana” will not lose their legal force and don’t need to be changed. All key fixtures of the city, such as the Astana Opera House, Astana Arena, Astana TV channel, the Astana cycling team, the Astana Arlans boxing club and so forth will not change their names. Air Astana will also retain its name. But one of the questions people asked in particular was: “Does Tokayev have the right to amend the Constitution?”. As explained by the Kazakh lawyer Mereke Gabdualiyev, amendments can be made at the initiative of the president, government, or parliament only by holding a national referendum. The Constitutional Council must also give its opinion. Nonetheless, amendments took their official status on March 23rd. Addressing the constitutional animosities, the Minister of Justice Marat Beketayev said that Tokayev’s proposal to the government found its support and turned into a “government initiative” that was further approved by the Constitutional Council. Our path to build the image of Kazakhstan as an independent developing state has been rough enough, with “Borat” jokes outvoicing strategic programs such as Kazakhstan-2030 and -2050, expensive projects like Astana Expo and proposals to rename the country into “Kazakh-Eli” (the land of Kazakhs). Decisions taking place after Nazarbayev’s resignation proved the lack of trust to people and demonstrated stagnation of the government apparatus. The people of Kazakhstan seem not to expect any considerable changes in their country’s political structure. We are enjoying our peace and comfort, we celebrated the Nauryz national holidays from March 21st to 25th by going out with our families and friends, enjoying the spring weather, drinking coffee, and almost not discussing politics. On March 26th, Nazarbayev was met in Almaty airport with triumph – reportedly thousands of students came to thank him for his service. The first President then tasked Kazakhstani youth to continue to implement all his initiatives. He said otherwise “If you don’t keep your word, I’ll come back and enquire from everyone”. Anastasiya K holds a Masters degree in Central and Eastern European, Russian and Eurasian Studies. She is currently living and working in Kazakhstan and occasionally writes things for Lossi 36.